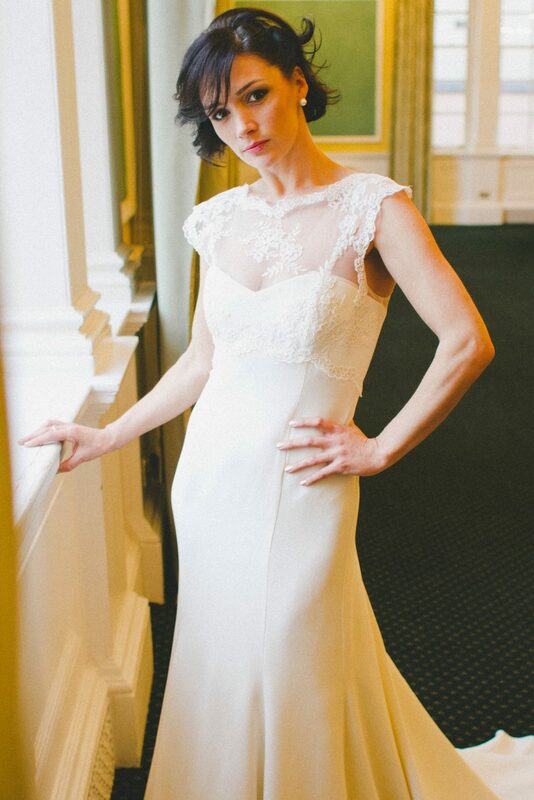 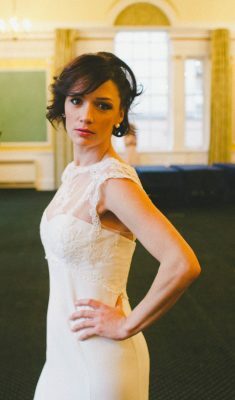 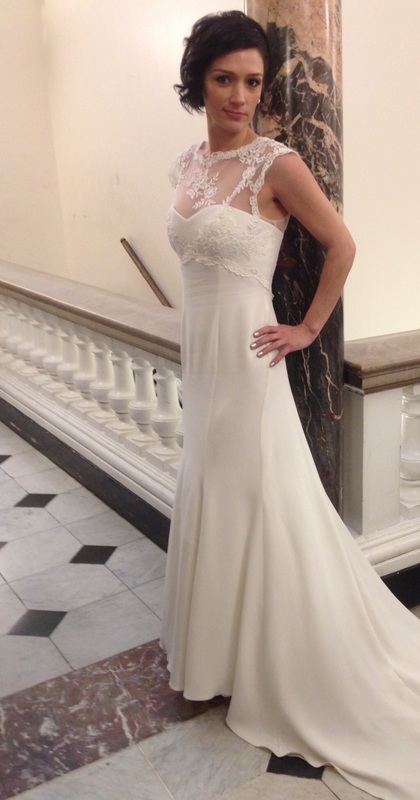 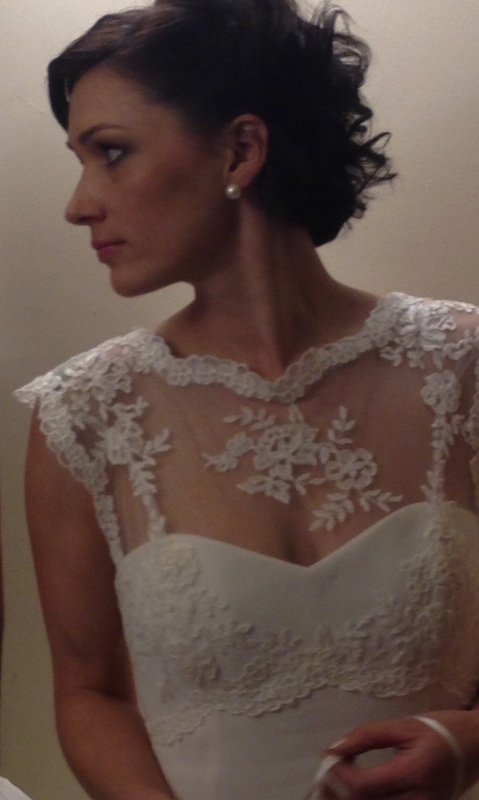 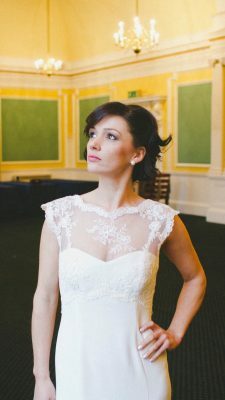 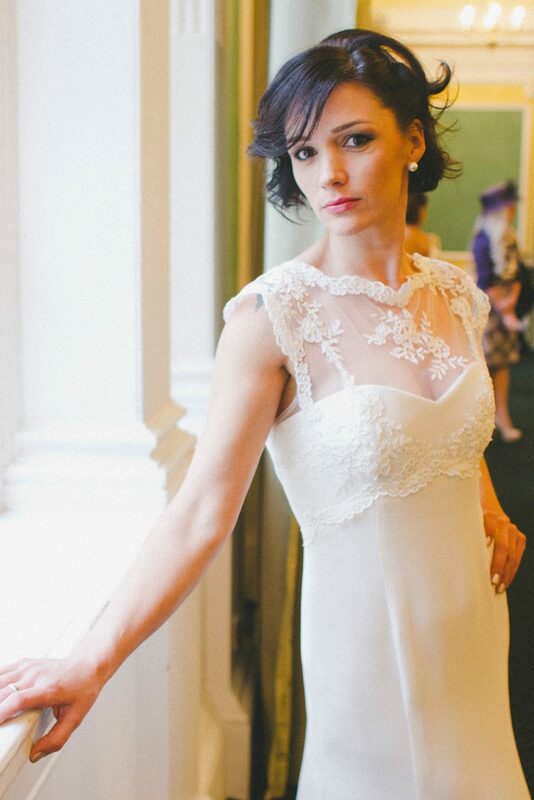 Natasha is modelling one of my sample dresses, the silk crepe and lace soft fishtail dress. 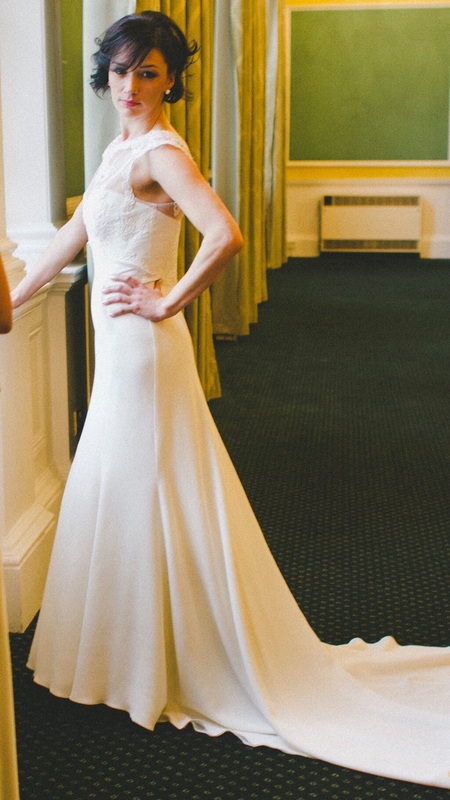 A clean, simple, elegant silhouette, pretty for girls who love demure. 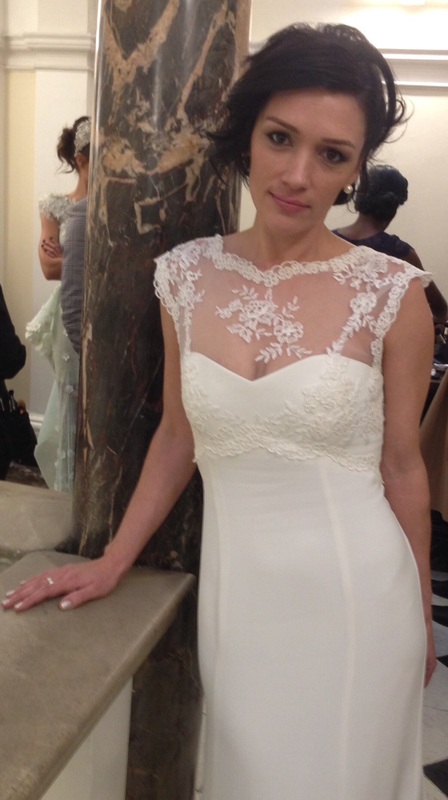 The heavy marocaine silk crepe is an exquisite fabric that drapes beautifully, creating an elegant sophisticated look. There is no need for frills and diamantés with such a luxurious fabric. A simple silhouette with very little detail allows the most exquisite of fabrics to take centre stage and do all the talking.